7" - 24 oz Bowl 4.75" H x 7" Rim diam. 9" - 48 oz Bowl 5" H x 9" Rim diam. 12" - 64 oz Bowl 5.25" H x 12" Rim diam. 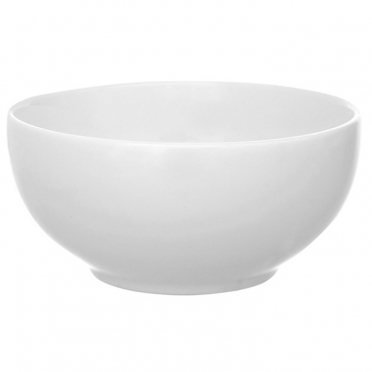 One of the simplest and most classic bowl designs is our "White China" option. We offer a variety of sizes so that you find something that fits your needs. 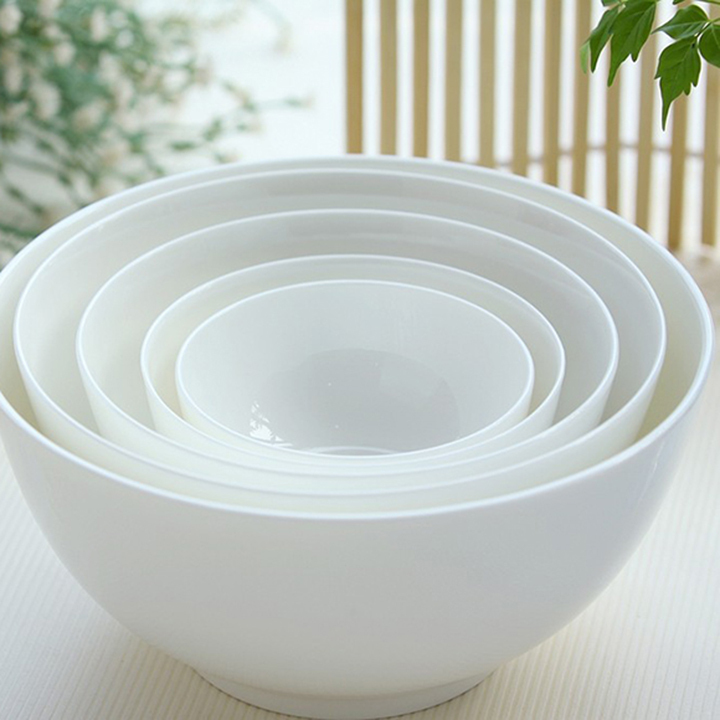 Whether you are serving a savory soup, a summer salad, or a dessert mousse, this set of bowls will work well. Thanks to the white color and clean styling, it will match all decors.